The vector stencils library Nicaragua contains contours for ConceptDraw DIAGRAM diagramming and vector drawing software. This library is contained in the Continent Maps solution from Maps area of ConceptDraw Solution Park. 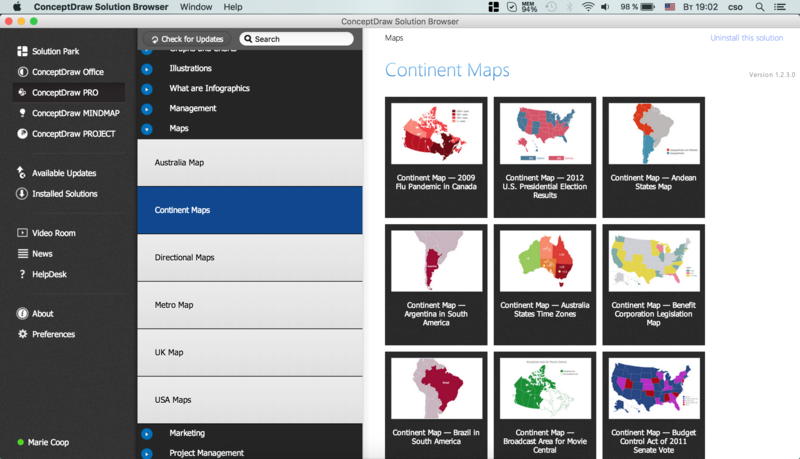 Use the Nicaragua library to draw thematic maps, geospatial infographics and vector illustrations for your business documents, presentations and websites. Nicaragua has a population of over 6 million and an area 130,375 sq km(50,193 sq mi). 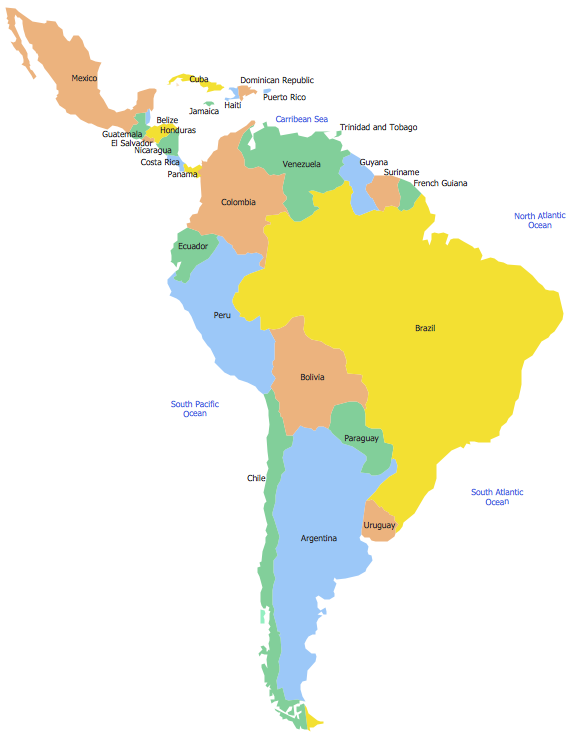 South America includes 27 states. 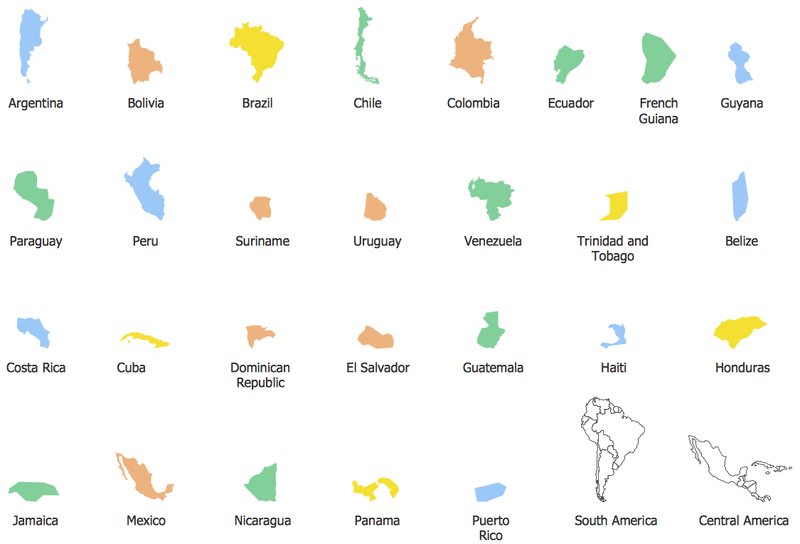 Use the map contours library "South America" to design thematic maps of South American countries using the ConceptDraw DIAGRAM diagramming and vector drawing software. 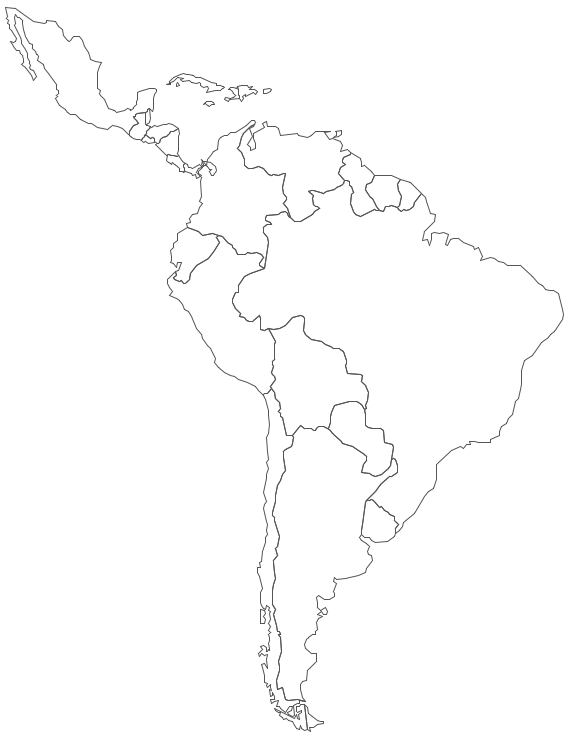 The vector stencils library "South America" contains 29 map contours: South America political map, Central America political map, state map contours of South American countries. The vector stencils library Russia contains contours for ConceptDraw DIAGRAM v12 diagramming and vector drawing software. This library is contained in the Continent Maps solution from Maps area of ConceptDraw Solution Park. Venezuela, officially called the Bolivarian Republic of Venezuela, is a country on the northern coast of South America. The vector stencils library Venezuela contains contours for ConceptDraw DIAGRAM v12 diagramming and vector drawing software. This library is contained in the Continent Maps solution from Maps area of ConceptDraw Solution Park. A healthy lifestyle and a balanced healthy diet are the basis of health, longevity and good feeling. Every day a human must receive with a food the correct proportions of nutrients and vitamins. It is very important to make a proper menu that includes tasty and healthy dishes. ConceptDraw DIAGRAM v12 diagramming and vector drawing software enhanced with Health Food solution from the Food and Beverage area of ConceptDraw Solution Park will help you easy develop, depict and appetizingly illustrate your healthy food recipes. Mexico, officially the United Mexican States, is a federal republic in North America. The vector stencils library Mexico contains contours for ConceptDraw DIAGRAM v12 diagramming and vector drawing software. This library is contained in the Continent Maps solution from Maps area of ConceptDraw Solution Park. Costa Rica, officially the Republic of Costa Rica, is a country in Central America, bordered by Nicaragua to the north, Panama to the southeast, the Pacific Ocean to the west, and the Caribbean Sea to the east. The vector stencils library Costa Rica contains contours for ConceptDraw DIAGRAM v12 diagramming and vector drawing software. This library is contained in the Continent Maps solution from Maps area of ConceptDraw Solution Park. Honduras, officially the Republic of Honduras, is a republic in Central America. The vector stencils library Honduras contains contours for ConceptDraw DIAGRAM v12 diagramming and vector drawing software. This library is contained in the Continent Maps solution from Maps area of ConceptDraw Solution Park. Malawi, officially the Republic of Malawi, is a landlocked country in southeast Africa that was formerly known as Nyasaland. The vector stencils library Malawi contains contours for ConceptDraw DIAGRAM v12 diagramming and vector drawing software. This library is contained in the Continent Maps solution from Maps area of ConceptDraw Solution Park. 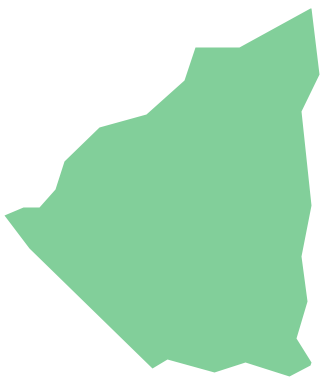 Burundi, officially the Republic of Burundi, is a landlocked country in the African Great Lakes region of Southeast Africa, bordered by Rwanda to the north, Tanzania to the east and south and the Democratic Republic of the Congo to the west. The vector stencils library Burundi contains contours for ConceptDraw DIAGRAM v12 diagramming and vector drawing software. This library is contained in the Continent Maps solution from Maps area of ConceptDraw Solution Park. Suriname, officially known as the Republic of Suriname, is a country on the northeastern Atlantic coast of South America. 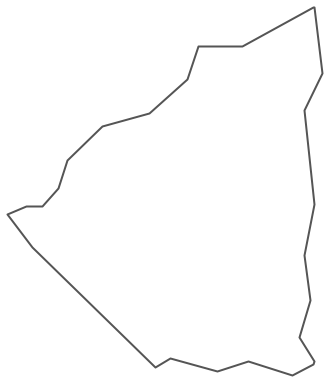 The vector stencils library Suriname contains contours for ConceptDraw DIAGRAM v12 diagramming and vector drawing software. This library is contained in the Continent Maps solution from Maps area of ConceptDraw Solution Park.